Most librarians readily share their enthusiasm for audiobooks. Years ago, a librarian launched my audiobook habit with her unapologetic preference for the audio version of Philip Pullman’s His Dark Materials trilogy. For me, listening to Lyra’s adventures was the beginning of an intense attraction to books as an auditory experience. The transformation of enthusiasm into expertise on the ways that audiobooks cultivate young people’s literacy skills is of keen interest to Sharon Grover. Grover, head of youth services at Hedberg Public Library in Janesville, Wisconsin, says audiobooks can help children and teens build and sustain vocabulary. Grover notes that this is especially important during summer vacation. 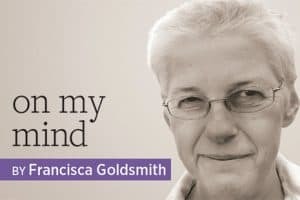 Booklist columnist Mary Burkey credits audiobooks with the potential to redress the phenomenon known as the word gap, which results when children are not exposed to engaging and complex vocabularies. 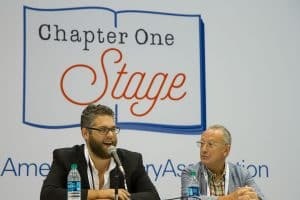 “Hearing language creates a pathway to understanding” and “builds a word-rich literary experience,” she observed during an Audio Publishers Association (APA) webinar in December 2014. Audiobooks also enable children to grow as readers, a dynamic enhanced by group listening. “Families can listen together, an exercise that generates an opportunity for conversation,” Grover said, adding, “Since children can listen to and comprehend books that are two or three grade levels above their reading level, librarians can easily help families find something that will entertain across a wide age-span.” Read-alongs, the pairing of audio and print text, are another strategy for enhancing fluency. Librarians looking for resources that will help them select, evaluate, and make the case for audiobooks in their collections can draw on a number of core resources. Among them is the recently launched site, Sound Learning, an APA initiative. With content authored by Grover, Burkey, former District Library Supervisor for the Arlington (Va.) Public Schools ­Lizette Hannegan, and Coppell (Tex.) Middle School West Librarian Rose Brock, Sound Learning advises librarians about the ways that listening to literature supports children’s literacy skills. The site provides “extensive lists for collection building in public or school libraries,” Grover said, adding that audio clips accompany reviews. Further recommendations come from SYNC: Young Adult Lit for Your Earbuds, a website offering free audiobook downloads during the summer months. Each week, beginning in May, the site provides a pair of teen titles: one classic and one contemporary. Three ALA recognitions identify excellent audiobooks that librarians can share with young readers and their families: the Odyssey Award, first given in 2008; Notable Children’s Recordings, determined by the Association for Library Service to Children; and Amazing Audiobooks, selected by the Young Adult Library Services Association. 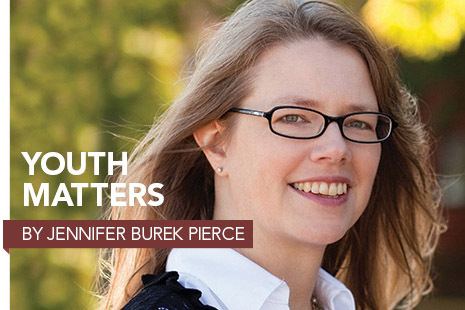 JENNIFER BUREK PIERCE is associate professor of library and information science at the University of Iowa in Iowa City and author of What Adolescents Ought to Know. Email: jennifer-burek-pierce@uiowa.edu.